Last week Core 77 had several tips on what not to do in a digital portfolio. (See earlier post) This week is what to ALWAYS do. Check it out here. I believe we need to act wisely for the future of those to come. This Earth Day check out these two great ways to help make a difference. It is the small act that can make a big difference. There mission is to Help bring the Global Warming Issues to the public for-front. Founded by former VP Al Gore, We Can Solve It is getting backing from many fronts including some of our leading politicians, finally. Check out the site, see what you can do, and sign up. The Designers Accord is a coalition of designers, educators, researchers, engineers, business consultants, and corporations, who are working together to create positive environmental and social impact. Join them and help to provide and educate on "green" solutions for the design industry. 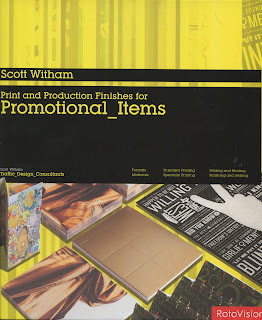 This week's book, Print and Production Finishes for Promotional Items by Scott Whitham is full of exciting ideas. This book showcases over a 100 examples of "bells and whistles" that we can use in the productions of our designs. Print and Production Finishes for Promotional Items is broken down into sections such as Formats, Folding and Binding, Specialist Printing and Finishing and Sealing. 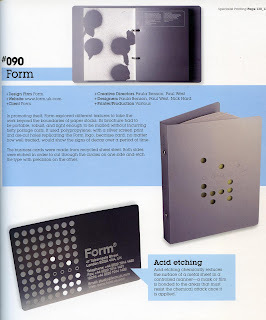 Each example is photographed, explains the finish, gives the design studio and website and the printer for reference. The layout is well done and inspiring. Pick this book up if you are looking to add that "extra" in your next design. 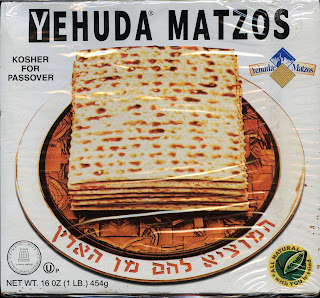 Yehuda Matzos is my favorite this time of year. Try it with butter and honey. Happy Passover! Core77 has a few tips on what not to do when designing your digital website portfolio. It is informative and keeps it real. Happy reading and click here to view the article. 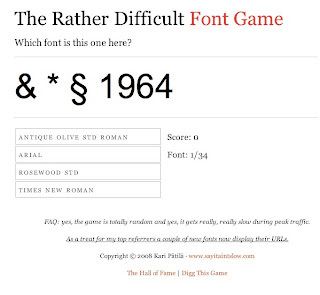 The Rather Difficult Font Game test your knowledge of fonts. Give it a try, I scored a 31/34. Must have missed the comic sans. Click here to have a go. 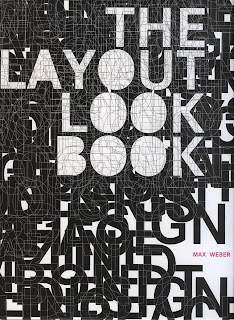 The Layout Look Book written by Max Weber is a great new book published in 2007. 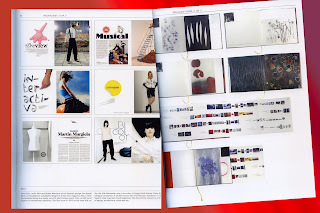 The book is broken down into several sections that include: Magazine, Book, Poster, Music and Miscellaneous. The work and projects presented in this book are fresh and current. It covers works from around the world. 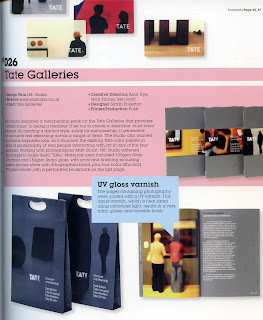 The designs shown range in style and the book inspires. If you are looking for a book that covers layout and is fresh, add this one to your design library. 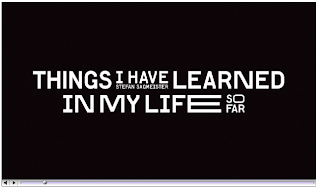 The film crew at Hillman Curtis have released a video about Stefan's gallery show last month in SOHO based on "Things I Have Learned In My Life So Far." You can see several of the works that are included in his book. The video also included brief words by other great designer that where at the opening for the show including Milton Glaser, Debbie Millman, and Massimo Vignelli. The video is well produced as has been done in the past by Hillman Curtis. (be sure to check out their other short videos too) Watch and enjoy the video by clicking this link. 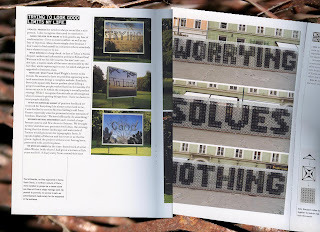 This latest book by Stefan Sagmeister is wonderful. It is based on thoughts he noted in his diary during a yearlong studio sabbatical in 2000. Some of the thoughts included “Everything I do always comes back to me”, “Trying to look good limits my life”, “Helping other people helps me” and “Everybody always thinks they are right”. When he returned to the studio he had clients ask him to “just design”. He went back to his diary and started to visually show his thoughts. All the designs where commissioned by his clients. The book is a series of these thoughts shown through photos of the final piece and an explanation of the project. The book design is made up of folios that you can read then placed behind the cover to create a new cover. The design of the book is wonderful. It is not a “how to” design book but a book that lets you understand one of our great designers working today. I had the chance to meet Stefan last August while taking a class from Milton Glaser. He presented this series. Stefan is a wonderful person, full of passion, and I hope he continues to push the boundaries between art and design.